The animated neon sign at the Donut Drive-In, 6525 Chippewa Avenue in Lindenwood Park, returned to life on November 1, 2008. Donut Drive-In first opened in 1952 on what was then Route 66, the nation’s “Mother Road.” Many of the St. Louis stretch’s neon signs have disappeared, but not this one. 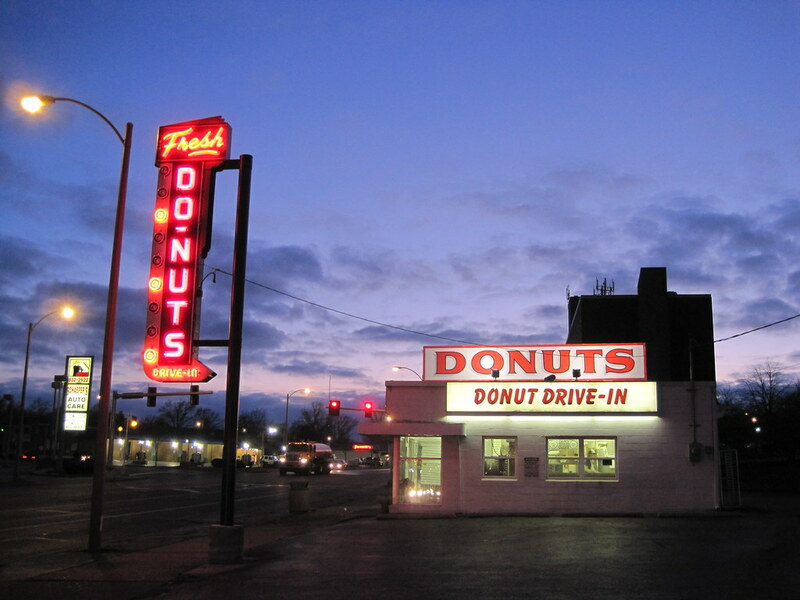 The owners of the donut shop could not afford to restore the Route 66 icon on their own, but were able to complete restoration using a matching grant from the the Route 66 Corridor Program administered by the National Park Service. 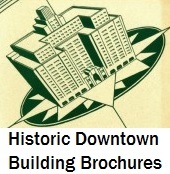 The Missouri Route 66 Association was instrumental in assisting the owners with the grant process. This entry was posted in Mid-Century Modern, Neon, Public Policy, South St. Louis. Bookmark the permalink.